Hello everyone. I’m here to talk to you about a disorder that has spread through a particular profession, writers. Millions of writers around the world, aren’t able to focus on their job, because of a fear that their work hasn’t been saved. This is a very serious issue. 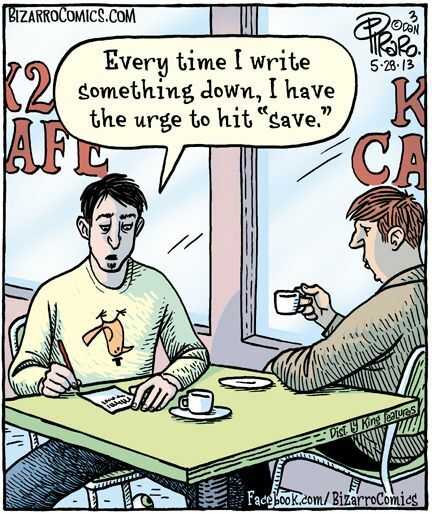 There has been a solution to this problem for years called auto save, but many writers still save their work every 60 seconds, wasting valuable time. I personally suffer from this disorder and saved this article at least 20 times during the writing of just this one paragraph. There is no known cure for Obsessive Compulsive Saving Disorder at this time, but I hope we find one some day. I’m just going to save this article one last time to be sure, but afterwards, I’ll still be wondering is it really safe?